Well Saturday saw me heading down to Trigg Beach to capture some more surfing shots as I knew the surf was up but also knew there was no landscape action happening here in Perth that morning. I got down there early and it was already very crowded at the point and I’m not surprised though as there was a decent and consistent swell coming through so I managed to snap quite a few good surf photos for the short time that I was there. There were some mini barrels happening at Trigg which was cool to see, even cooler was that a few people managed to sneak into some of them. Has anyone else here tried Surf or Wave photography? Its stacks of fun sitting on the beach watching the surfers, surf and seeing all the activity on the beach. Not sure that I could do it for hours on end, day in and day out though. 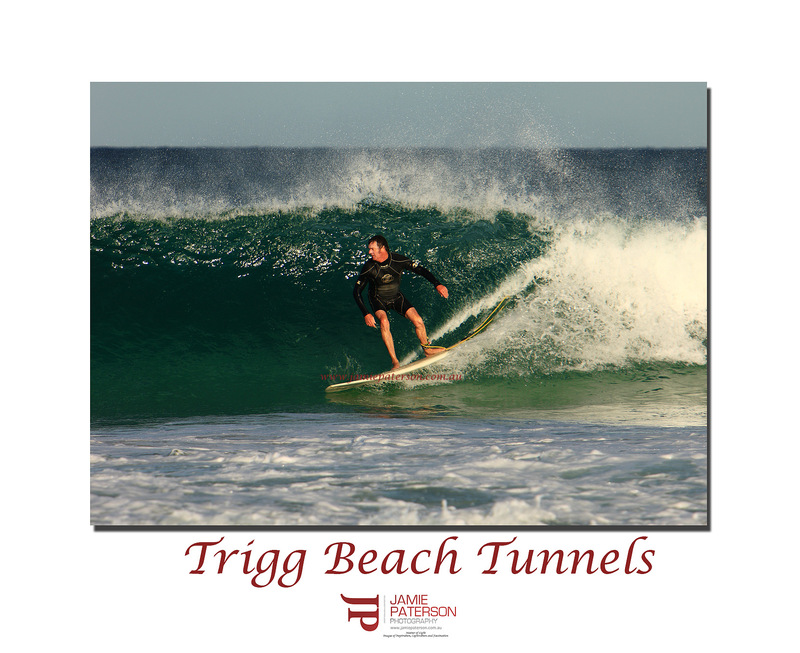 This entry was posted in Beach Photos, Surf Photos, Wave Photos and tagged australia, beach, canon, canon 1ds mkIII, image, Jamie Paterson, ocean, perth, photo, photography, seascape, surf, surf photography, surfer, surfing, trigg, trigg beach, water, wave, western australia. I haven’t really shot any surf photos but I can certainly see the excitement, must be a bit like shooting wild life following the action waiting for that special moment. The best surf photography I ever saw was featured in a documentary on Discovery channel or National Geographic. This photographer, who used to be a pro surfer himself, built his own panorama camera in a waterproof case featuring 2 x 35mm cameras covering 180 degrees and his own custom mechaniscm to sync the two cameras and operate them from one shutter. He swould swim or float in the big waves and shoot the surfer and waves as they approaced him in the tube – and then dive under just as they were about to hit him. His images were out of this world, fantastic close up 180 degree pano views of the surfer and huuuuuuuge waves. unfortunately I can’t remember his name, would love to find his website. I’d like to get some surf and surfing shots but it’s a bit hard when the water is a 130km away. i check it out all the time when we go south. I didn’t have a camera with me at the time damn it. @flemming – Check this out. Twin cameras built to capture 270 degrees field of view. @merv – Hi Merv great story thanks for sharing. That would be frustrating arriving somewhere and seeing massive waves and not being able to capture and yeah I agree distance would make it hard! Thanks for stopping by and contributing guys. Cheers Jamie, that’s the guy I was talking about. Awesome work! No problems Flemming. If anyone else wants to see some cool pictures then you should check out that site. living on Bass strait and in a strong surfing area I’ve dabbled a little with wave/surf photography but the thing that holds me back is lenses ! If I had a 600L or even a 400 then I’d be a lot more active in this field…When it’s big or clean it’s still awesome to watch with or without guys surfing ! Too chicken to try. Might be misconstrued, girl pointing camera at guys getting into their wetsuits… heh. But no, i did say in a previous post of yours that I don’t think i could handle the weight of the fear, so no surf photography for me. I’ll just enjoy the phenomenal work in Tracks magazine. I have to say that the photogs are as religious as the surfers themselves (i would assume a lot of them are surfers themselves?). Pretty crazy stuff they do out there. gear, i meant, not fear! argh! i’ve only tried with my pocket waterproof camera. so yeah, comes up with nothing haha. and yeah, seen that blokes work before. really blows you away hey! 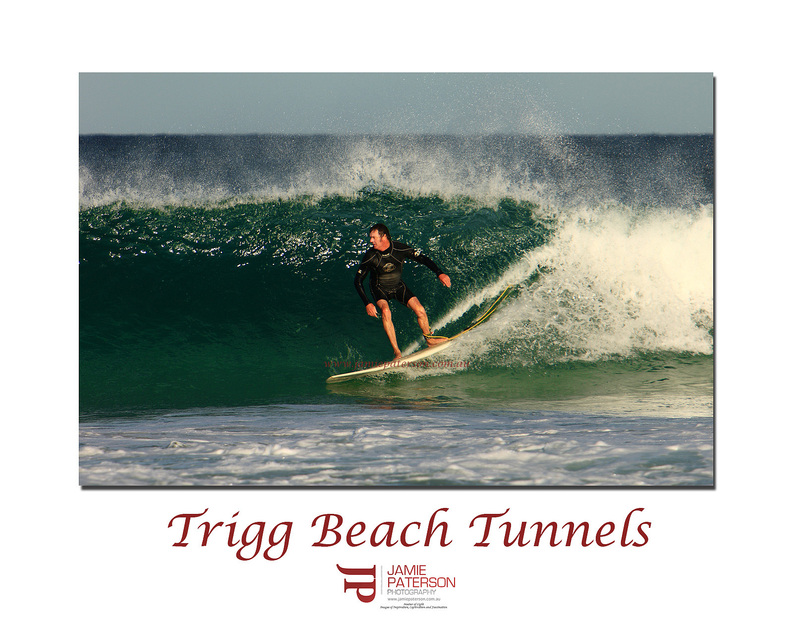 I used my 70-200mm with a 2x extender so that gave me 400mm which was sufficient for a beach break like Trigg Beach. Actually after slagging off the extender six months ago and almost throwing it into the bin I’ve started using it again and getting ‘reasonable’ results from it. You could always take a point and shoot down and just giggle and blush if they ask what you are doing. hehe. YOu are right its a religon for the photogs as well. If I could afford the housing I would be in the water taking photos of the waves themselves. They fascinate me. Know what you mean about the point and shoot. They take forever to take the photo. Nice shot Jamie, enjoying looking at the surf pics. I have always surfed but never got into the whole surf photography side of it. I would LOVE an underwater housing to do some wave photography rather than surfers themselves. One day. Thanks for that. You should check out this guy http://www.clarklittlephotography.com some of his stuff is amazing. Of course it would be hard not to get great shots if you were living in Hawaii. Yeah Jamie, love his work, I have a book with a load of his work in it. I’m pretty sure he is related to Brock Little, can’t remember if brothers or not.